Join Peter Walters and Leia Layus for a long weekend away from the city -- and your devices! We will be spending our time at The Farm in the heart of the San Francisco Bay Delta on Grand Island. With its old world farmhouse, expansive lawns, swimming pond, beach, and fire places, The Farm is the perfect setting for all who wish to dedicate time and space to slow down, rest, play, sing, sweat and connect in a meaningful way. Walk the fields, practice yoga on the outdoor yoga deck, and enjoy communal farm-to-table meals from the 15 acre organic farm; These are just some of the highlight moments that compel kindred spirits to return to The Farm again and again. Are you in need of some nature, or maybe just a pause from your daily routines? Picture birds chirping, vast farm land to wander, a pond and a little beach to lay your body down, 2x daily practices, both strong + nourishing, of vinyasa and restorative yoga, meditation, good wine and some of the best food you've ever tasted! But that's not all...this weekend won't be all rainbows and unicorns; We're also going to ask you to do something that's very hard...Digital Detox! *Turning off our devices these days is virtually impossible. And terrifying. But this weekend, we're finally doing it--together. No 'Night-Mode,' no 'Airplane Mode--' we're literally taking your phone away when you arrive. Even writing this makes us a bit anxious...but we all know how important this opportunity is, and how potent 3 days without screens will be for our whole being. So bring your books, bring your cameras, bring your musical instruments and knitting supplies. We're going back to a time before time before screens and swiping and tapping and all the digital stuff. Just breath, movement and a few days in analogue. Join us for this special long weekend at the farm! *We will make exceptions for this digital detox for mothers with young children (expecting mothers, too), and doctors to keep their phones, but otherwise, you'll turn in your screen things and surrender! * Optional bodywork & acupuncture and all organic meals prepared by a professional chef. This journey offers you a full, long weekend for inner-exploration, healing, and re-connection. In communing with Spirit through visits to Sacred sites, meditative hikes with Nature, and the gift of the Healing Breathwork, you have the opportunity to develop your innate Intuitive gifts – to come into alignment with you Soul, and home to your Heart. Each experience and practice is an invitation inward – to a deeply true listening place – learning to trust yourself, to feel safe in your authenticity; to be connected to your Intuition and connected to your body. To be fully and presently available to simply receiving the Divine guidance and Love that is already all around and within you. Here you will expand your physical capacity to carry a stronger vibration of Love – tuning your body as an instrument, connecting to the flow of creative energy, expression, and intuitive movement. Here you will give yourself the space to heal – to set aside the "to-dos" and see what happens when you allow yourself to be truly seen and heard, and held... by YOU. Come as you are – to deepen your existing practices, or show up 100% raw. Either way, there will be something magical and meaningful that awaits you here, something you didn't even know you needed, something that may just change your life. For our gentle morning Yoga practice, local New Mexico teacher, Leia Layus will be leading us! Leia's practice is a submersion into your essence and nature around us. She lyrically guides you to merge the poetry of the movement with the elements, to merge the ethereal with the physical, subconscious with the conscious, awakening into your soft power. Leia carries with her the traditional styles of Yoga that offer foundation, grounded-ness, and strength. Her teaching continues to explore the subtler aspects that awaken us to grace, gentleness, and our sensual nature. I am an Intuitive Empath, Healer, & Breathwork Facilitator. HOLA MADRE is a Gathering for Women who are devoted to tending the Earth and each other. We meet with our gifts to honor the power of Sisterhood as a portal for communal healing and connection. Our intention is to create a container that enables us to give back to the land that supports us, for it is by the measure that we respect and honor the Earth that we too Respect and Honor our bodies. Let us gather to remember how to dance gently and in reciprocity with Mama Earth and all of our relations. Replenish yourself each day with warm tropical air, sun, and blue waters on this 4-day Nourishing Yoga & Ayurveda Retreat in Costa Rica. Hidden away in the jungle of Playa Negra, Peace Retreat is the ideal location to support transformation, and the perfect setting to reconnect to your spirit, soak up the sun, swim in the warm waters, and relax on the vast beaches. Your retreat includes 2 nourishing daily yoga and meditation practices, Ayurvedic food preparation demonstrations, 2 delicious locally prepared food preparation demonstrations, 2 delicious locally prepared meals per day, a stand up paddle boarding excursion, and 3 nights shared accommodations surrounded by the sweet hum of nature. 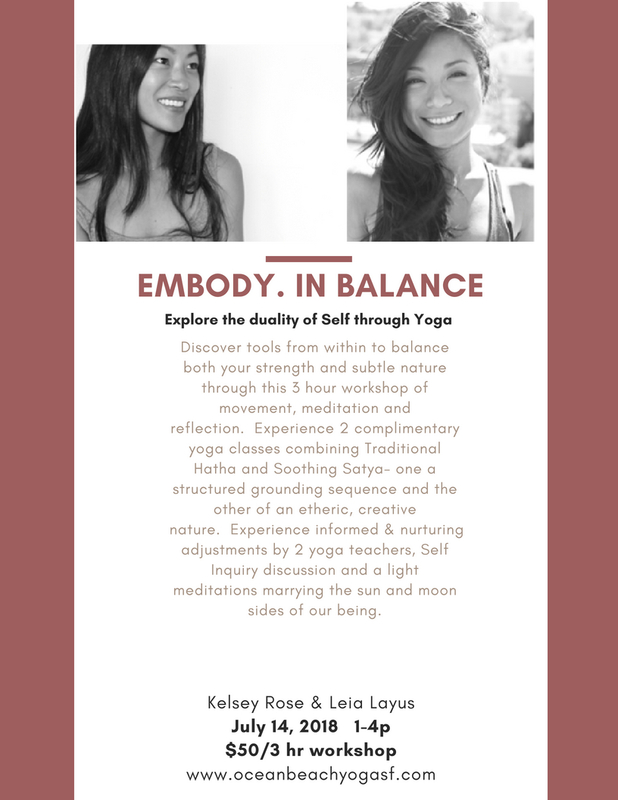 Nourish, Reflect & Rejuvenate with Serena Arora & Leia Layus in beautiful Costa Rica!